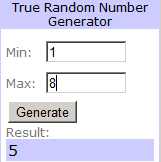 Phil, you are the lucky winner of the Sheaffer fountain pen giveaway. Please contact me at alex_witte@yahoo.com to claim your prize. You have until December 31st to contact me, or a new winner will be drawn. Please include your mailing information, and I will get that in the mail to you shortly. I will have additional giveaways in the near future, so become a follower for future posts and giveaways! Zebra Penpod, I will miss you. After spending over a month in my pocket, I would say this Field Notes graph notebook has held up pretty well. To test the paper, I used a wide variety of instruments and inks to test show-through, bleed-through, feathering, and overall quality. As you can see, there was some feathering with the inkier pens. Even with quite a bit of showthrough, the ink did not leave anything on the next page. The saddle-stitched binding has held up pretty well considering it has spent so much time being sat on. I've folded back the cover quite a few times, too. Overall, this notebook held up quite well - better than Moleskine, which has turned into pulp with the same abuse. The Field Notes notebooks are not a bad value. If you want something that is more fountain pen friendly, I'd go with a Clairefontaine/Rhodia pocket notebook but, given the price (3 for about $9.99 + shipping), they are a decent notebook. Because of the shipping costs, I'd consider signing up for their newsletter, and they will let you know when they have special offers. When I bought my 3-pack, which included a blank, a line, and a regular notebook, they added a free 3-pack of the graph notebooks, my personal favorite. It is nice to find a quality product that is readily available at your local office supply store, but I almost want to boycott these stores until they learn to optimize their selection. This pen is available at most of the big chains, and, for the most part, I really like it. The ink does not work on all types of paper; many liquid ink pens are very wet writers and bleed much the same way as a fountain pen can. Regardless of this issue, this pen pretty much has everything else that I look for in a $2.00 pen. One thing that I did not note in the sample is that I love the look of the ink sloshing around inside the pen, and this is the same reason people love "demonstrator" fountain pens - it is just cool (and useful) to see what the ink is doing inside the barrel of the pen. I'd say this pen would be fairly agreeable for most preferences, but some people avoid liquid ink pens altogether due to the tendency for the ink to spread on the paper's fibers. At two bucks, I think this is easily worth the risk. It is hard to beat a Pilot Precise for liquid ink rollerball pens, but I think this one is worth trying. Schneider is apparently a German company, and I can't think of a time when I've seen them in the store, but OfficeMax.com has them in their catalog. This green one came home from work with my girlfriend, so it may be more difficult to find the green color. You will notice from the images that there is some inconsistent areas in the lines but, overall, the pen is adequate, especially considering they are under $1 U.S. each. I would like to try some higher-end offerings from this company, so if you have any you are willing to trade, please contact me. One other point that I noted in the review is that this very much reminds me of the regular Uni-ball Roller or the Uni-ball Onyx - a cheap pen that does the job. Nothing more. Nothing less. Let me know if you have any questions about this review. 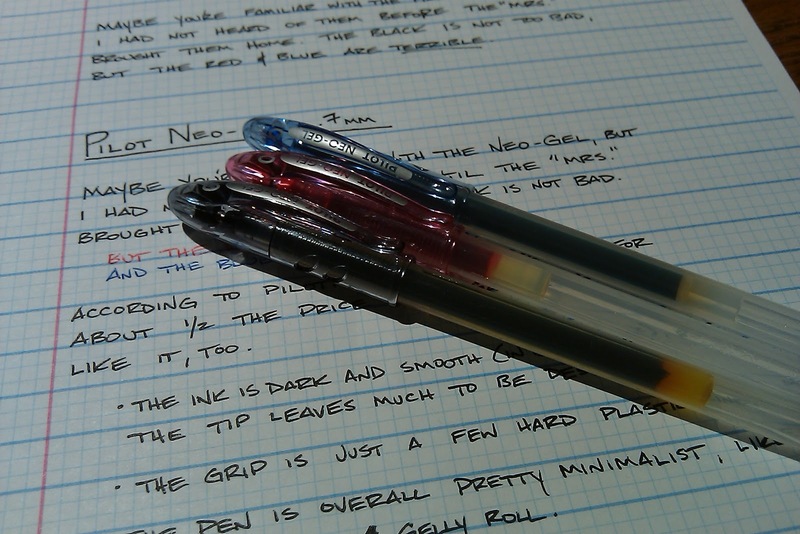 I am pretty familiar with most of items in the Pilot line, but never heard of, or tried, the Neo-Gels until my girlfriend brought them home from work today. Apparently these are common around her office, but I have not seen this in the big-box stores, and I have not heard much buzz about them in the pen community, either. Maybe I just wasn't paying attention, but I certainly don't feel like I missed much. These seem like a cheap G2, and everything about them feels like it is inferior to the G2, also. The ink of the black seems very similar, but the ink in the blue and red feel more like a bad ballpoint than anything else. The grip is a set of raised rings. They are a very basic grip, and I guess they serve the purpose of being a grip. The rest of the barrel is like a cross between a Sakura Gelly Roll and a Bic Crystal. Nothing noteworthy in this department. The end of the cartridge has the familiar yellow-orange goo at the end, but this doesn't result in a feeling like the G2. The label 'Neo-Gel' and '07' point size are bold on the cap, but this hardly saves the performance or comfort of these mediocre pens. 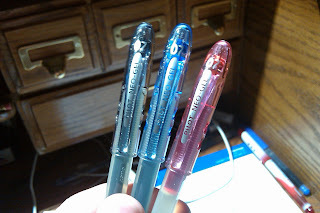 I might keep the black one around as a pen to loan out to others, but the blue and red are, essentially, worthless. I'm all about affordable pens, and even though these cost $1.09 U.S. on PilotPen.us, I'd much rather spend a dollar more to buy a G2 and call it a day. Paper: Doane 8.25 x 11.75 This paper has been great, because it takes a variety of inks quite well, and there is less glare than glossier papers when I take photos. Q: Have any of you tried these pens and, if so, what do you think of them? Nifty, at Notebook Stories, is having another giveaway. Go check out the cool Daycraft products Nifty has available to win. Click Here. The closeups make the pen look like there are scratches or flaws, but it is just the dust clinging to it from static electricity, which is quite prevalent in Minnesota during the winter. 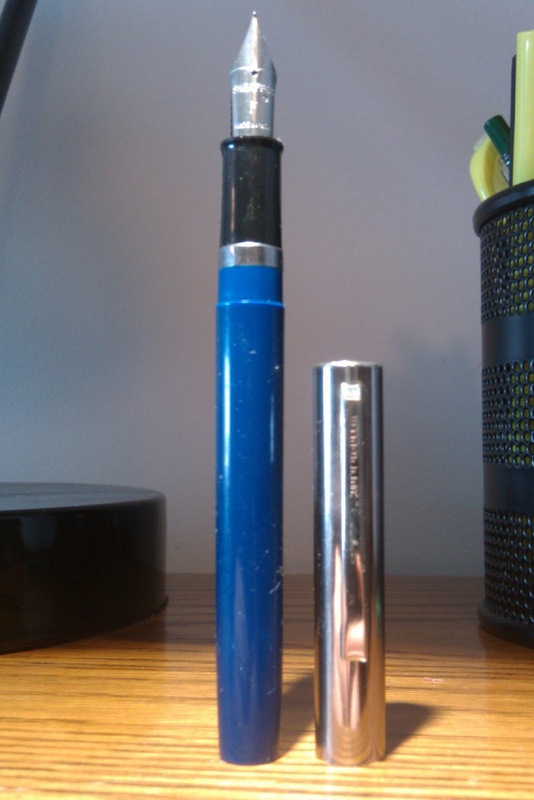 The average temperature in Minnesota during this time of year is -15 F to 25 F.
I do not know what model this is, but it appears to be an entry-level school/economy pen. 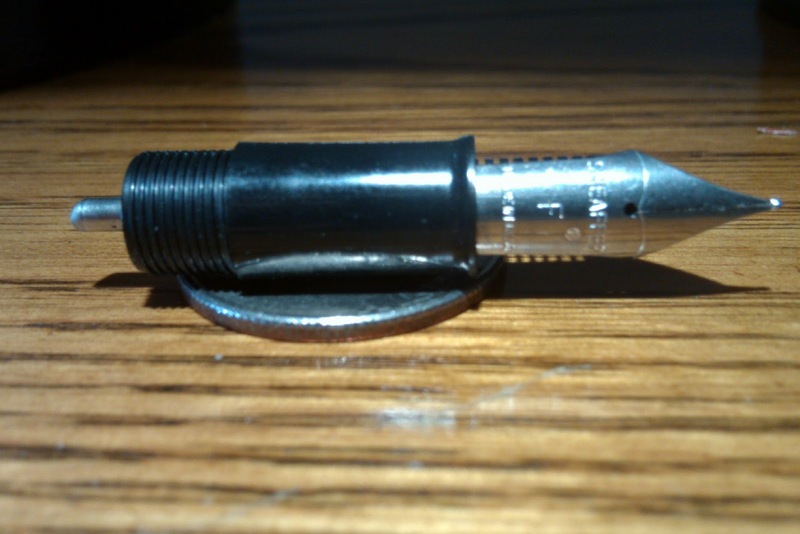 This pen does not have a built in filling system - it is a cartridge/converter style pen. What's great about Sheaffer is that the cartridges have not changed in decades. 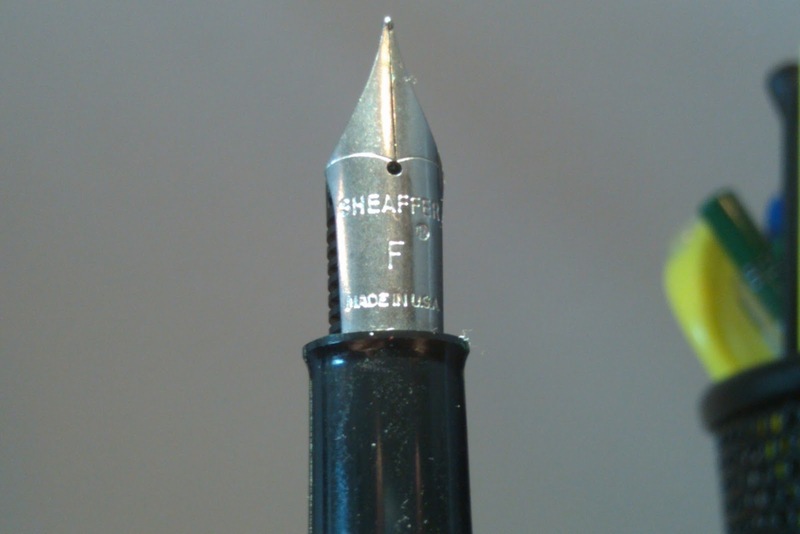 You can buy the refills from Goldspot, Sheaffer, or many of the large office supply stores. The pen is in really good shape, but I do not know when it was made. It looks like it was probably the 70s. Since this blog is relatively new, I am going to let the giveaway go a bit longer than usual so that more people can get a chance to enter. Leave a comment on this posting to enter. You are limited to one entry. Duplicate entries will disqualify you from winning. You can enter any time between now and midnight, December 26th. The winner will be posted on Monday, December 27th. For the time being, I will only be shipping to winners in the U.S., so I apologize to international visitors. Future giveaways will include international winners, but I am still trying to get this blog off the ground, so I appreciate your understanding. What was it that first got you into fountain pens? For me it was the Pilot Varsity. The Varsity is roughly $3.00 (U.S.), and it is actually available at most office supply stories, which is more than I can say for many of the interesting offerings out there. 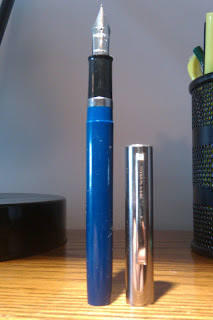 This pen sports a medium nib made of steel, and the ink that in it is Pilot blue. While the image above might not express how dark this ink really is, it is definitely one of the darker blues out there. The ink feathers a bit in my Doane notepad, but part of this is because of the medium nib, and it puts out a lot of ink. Doane is also fairly porous, so I typically don't use it for fountain pens unless I am using a fine or extra-fine nib. The most exciting part of this pen, for me, is the fact that the nib/feed section can be removed to allow for replacing the ink. I have several ink samples that I wanted to try, and being able to use this pen as an eyedropper allowed me to play with the inks before deciding if I wanted to buy them. In addition, I have this beautiful ink called Noodler's Baystate Concord Grape and, though I love it, the ink is notorious for staining pens, as it did with my Lamy Safari converter. I highly recommend the ink for eyedroppers, dip pens, and pens that you do not care about, but don't ever put it in a clear demonstrator, unless you are looking to stain the pen on purpose. While there are now other options out there for super cheap fountain pens, I think this one is good to have around to test more finicky inks, inks that you might have samples of, or for testing how the shading of an ink, which comes out more in a wet, medium nib than it will in a fine nib. The bottom line is that these pens are surprisingly long-lasting disposable eyedropper pens, and they will allow you to bring a fountain pen out-and-about without worrying too much if it is lost or damaged. If you are not ready to jump into the $10-25 price point, then this is a solid option if you want to see what fountain pens are all about. Feel free to comment on your thoughts about this pen or whatever other fountain pens you first tried. For more information about using this pen as an eyedropper, check out Seth, of Good Pens, tutorial on refilling the Pilot Varsity. Pen: Pilot Varsity - available at JetPens or an office supply store near you. there are a total of three going out, so go throw your name in the hat. I am working on trying to improve the quality of my images, so any suggestions on close ups and lighting would be appreciated. I am getting too much glare or not enough clarity. The design is another area I will be looking at changing soon. The current color scheme seems too drab, in my opinion. So I will be lightening that up, too. If any one wants to see reviews that cover particular aspects or categories - so that this blog is not too similar to other blogs - please let me know. Thank you to those that have visited as I try to make this a "favorite" in your bookmarks. I've heard from several sources that the Pentel Tradio has a cult following, and I can see why. This pen has a variety of barrel colors, in both hard plastic and soft rubber. There are .5, .7, and 'fountain' (angled/chiseled felt), and ink comes in blue, red, and black. The ink is about as smooth and dark as it gets, as many will know from using the Pentel EnerGel line of pens. There is an odd retro submarine window/bubble type thing in the cap, and I don't know what it does, but it looks cool. The clip is sturdy plastic, and seems like it will hang on pretty tight, but it is not very flexible, so it could break easily if over-exerted. The grip is a herringbone pattern and works pretty well, but it is not as good as the soft rubber of the regular EnerGels, in my opinion, because it is a hard plastic. The pen is, overall, pretty comfortable, and I think that if you like the characteristics that this pen offers, the $8.50 price tag (JetPens) is pretty agreeable. You should get a lot of solid writing out of this pen. This is the Copic Multiliner SP .3, which is Japanese in origin. 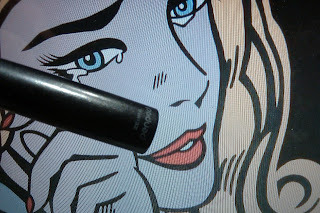 The Copic line is well-known among artists for the "copic" characteristic, meaning that the ink is resistant to smudging and smearing, and the marker states that the ink is waterproof. Copicmarker.com says that there are 10 different sizes, "ultra fine .03 to brush," which allows you to find just about any size you need, depending on the purpose in mind. There are also 12 different colors, but the one reviewed here is in black, my most frequently purchased color. I wouldn't mind trying the blue or purple, however. The pen itself looks great, and the cap stays posted pretty snugly on the back. When I first tried this pen, I couldn't help not being reminded of the Sharpie Pen and the Sakura Pigma Micron. While Copic does make a disposable version of this pen, I try to avoid disposable pens in an effort to be a little bit more friendly to nature. 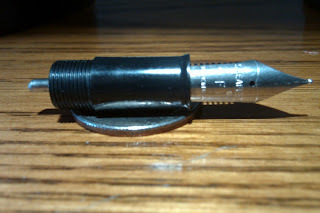 The barrel of this pen was comfortable to hold, and the aluminum barrel looks cool, too. For $6.75 (JetPens), you get a modern, refillable pen that can be used for writing or art. It is easy to recommend this pen, and I think that most people can find a color, size, and purpose to really appreciate this offering. This is a comparison of the Uniball Signo DX .38 Brown Black vs. the Zebra Sarasa Clip .4 in Tea Brown. Let me be very clear: Both of these pens are awesome, and I highly recommend that you try each of them. Depending on your preferences, you might like one more than the other, but it is hard to fault either of these options given the price. I did not experience skipping or any issues with the ink flow. Both pens have sharp lines and a similar line width. The colors are vibrant and are exactly what one might expect given the names of the color. As a chocolate fan, the colors remind of milk chocolate and dark chocolate. Yummy. The points are small, but the ink is bold and easy to read. While both pens are refillable, it might be difficult to find refills in these colors. But the pens are cheap, and you can try both for under $4.00 U.S. I prefer to use the DX when I am on the go, because I have a tendency to get ink on my pockets and it bleeds through my pants, so the capped works better for me. If you like retractable, the clip on the Sarasa is large and could easily grab a bunchof loose paper, a notepad, or a folder. The paper shown here is a Doane Grid + Lines 8.25" x 11.75" notepad, a personal favorite, and the lines of the ink look great with the lines of the paper. I also like the way these brown inks look in Field Notes which has brown lines on the paper, complementing the colors of the gel ink. You can get both of these great pens in a wide variety of colors so, if you don't like brown, you can go find whatever color you want.